MIAMI, FLORIDA (USA). The Department of Pathology and Laboratory Medicine of the University of Miami Miller School of Medicine invites applicants with an M.D. degree to apply for a full-time Assistant/Associate Professor faculty position in blood banking and transfusion medicine. The applicant should have board certification/board eligibility in blood banking and transfusion medicine with at least three years of experience in patient blood management and a commitment to teaching and training of residents, fellows and medical students and a record of participation in peer-reviewed research. Clinical responsibilities for the position are with the University of Miami network of hospitals and clinics (UHealth) and the flagship county hospital of Miami-Dade County, Jackson Memorial Hospital. The combined blood banking/transfusion medicine services oversee the transfusion of approximately 70,000 units of blood products per year as well as active hemapheresis programs. In addition to supporting a broad array of medical and surgical clinical services, the blood banking/transfusion service supports the nationally recognized Ryder Trauma Center and the Miami Transplant Institute Solid Organ Transplant Program. Blood banking/transfusion support for the University of Miami Sylvester Cancer Center includes a large bone marrow transplant program (pediatric and adult) and a variety cellular therapy clinical trials associated with FACT-accredited programs. The successful candidate will be joining a committed, motivated, academic, supportive, collaborative, and caring faculty. Interested candidates should apply online by clicking on the link below and submit and submit their CV, cover letter and 3 references. ATLANTA, GEORGIA (USA). The Department of Pathology and Laboratory Medicine at Emory University School of Medicine is seeking applicants for a general Clinical Pathologist with expertise in Hematopathology and interests in Transfusion Medicine and general Clinical Pathology for a Clinical Track academic position based at Grady Memorial Hospital in downtown Atlanta. Candidates should apply online by clicking “Apply Now” at https://faculty-emory.icims.com/jobs/31672/job to be considered as well as submit: (1) a letter indicating their professional experience, research interests and future goals; (2) a curriculum vitae; and (3) copies of up to three significant publications to Karen Mann, MD, PhD in care of Ms. Rhonda Everett at reveret@emory.edu. ATLANTA, GEORGIA (USA). The Department of Pathology and Laboratory Medicine in the School of Medicine at Emory University is seeking applications for a full-time academic blood bank/transfusion medicine physician to serve as Medical Director of the Grady Health System Transfusion Service. Grady Hospital is a large public teaching hospital in Atlanta with a level-1 trauma center and a large sickle cell population. The successful applicant will have primary administrative and clinical responsibilities in the Blood Bank and Apheresis Services and have a minor role supporting the other clinical Laboratories at Grady. She or he will also hold a faculty appointment in the Emory University School of Medicine (Clinical or Medical Educator track). Salary and faculty rank (Assistant, Associate, or Full Professor) will be commensurate with experience and professional goals. Applicants must possess an M.D. or D.O. with board certification (or board eligibility) in clinical pathology and blood banking/transfusion medicine. We are seeking a highly motivated individual with experience in academic clinical laboratory operations. Successful applicants will also be expected to contribute to teaching at the professional and graduate levels. You must apply via the Emory website, https://faculty-emory.icims.com/jobs/31762/job. LOUISVILLE, KENTUCKY (USA). The Department of Pathology and Laboratory Medicine at the University of Louisville is seeking a full time faculty member to serve as director of transfusion medicine and coagulation services and director of its fellowship program. In addition to transfusion medicine, the position offers potential leadership opportunities for qualified applicants, including laboratory directorships and holding CLIA certificates. The department is experiencing a period of robust growth in its clinical footprint and candidates should be able to oversee transfusion medicine and coagulation services at two adjacent flagship hospitals and a few ambulatory sites, and have strong diagnostic skills/experience in clinical laboratory hematology. In addition, the successful candidate will function as director for an ACGME accredited Blood Banking/Transfusion Medicine fellowship program. Applicants should have fellowship training in transfusion medicine and be board certified or eligible. The candidates should have a strong interest in developing academic programs in research, maintaining scholarly activities and participate in graduate and undergraduate medical education. A track record of publications demonstrating clinical and scientific accomplishments is most desirable. The applicants must be board certified in clinical pathology or combined anatomic and clinical pathology and be qualified for an unrestricted medical license in the Commonwealth of Kentucky. The academic rank, tenure and salary will be based upon level of qualifications, experience and scholarly accomplishments. The compensation package is very competitive. The University of Louisville is an Affirmative Action/Equal Opportunity Employer that is committed to diversity. All applications must be submitted online at: http://louisville.edu/hr/employment/jobs/currentopenings and the Job ID is 36952. Applicants should submit curriculum vitae, a brief statement of research interests, career goals, and names of four references. BOSTON, MASSACHUSETTS (USA). The Department of Pathology at Beth Israel Deaconess Medical Center is recruiting for a full-time transfusion medicine specialist. The Medical Center is a 780-bed tertiary care facility and a principal teaching hospital of Harvard Medical School. The blood bank, histocompatibility, and stem cell processing laboratories are well integrated components of our busy clinical laboratories which perform over 7,000,000 tests annually. We seek new faculty of outstanding potential who share our vision of excellence in academic pathology. Our commitment to develop leaders in laboratory medicine is unparalleled and is our highest priority. Applicants must be board certified/board eligible in Blood Banking/Transfusion Medicine, with residency/fellowship certification in pathology or hematology-oncology and be qualified to obtain a medical license in Massachusetts. Harvard Medical School faculty appointment (full-time) will be commensurate with experience. ALBANY, NEW YORK (USA). The Department of Pathology and Laboratory Medicine at Albany Medical College in Albany, NY is seeking a full-time AP/CP or CP only board-certified pathologist with subspecialty training and board certification/eligibility in transfusion medicine for the position of Medical Director of Transfusion Medicine and Hematology. Albany Medical Center is a quaternary care 766 bed hospital with a 25 county catchment. AMC is a regional Level 1 Trauma Center and has programs in cardiovascular surgery, ECMO, multi-organ transplantation, maternal fetal medicine, and adult & pediatric hematology/oncology. The transfusion medicine service issues approximately 31,000 blood products and 1650 tissue products annually and maintains a laboratory staff of 30 FTE's. The successful candidate will provide consultative services to providers in anesthesia, hematology/oncology, transplantation, surgery, obstetrics and apheresis and is expected to offer medical direction for all medical, technical and regulatory laboratory processes. As director of the transfusion medicine service, the candidate will provide oversight of the patient blood management and quality programs. Candidates with experience in specialized services such as coagulation, therapeutic apheresis, and hematopoietic stem cell collection and processing are preferred. A minimum of 3 years of post-fellowship experience in Transfusion Medicine is strongly preferred. The Albany region is known for outstanding public schools in beautiful affordable suburban neighborhoods within 20 minutes of the medical center. Proximity and very easy access to Boston, Chicago and New York City also make this an ideal location without the high cost of living. The Adirondacks, Tanglewood and Saratoga Springs are popular weekend destinations. CLEVELAND, OHIO (USA). The Department of Pathology at MetroHealth Medical Center, a 700-bed teaching hospital of Case Western Reserve University Medical School and Level 1 Trauma Center, is recruiting a medical director of Blood Bank and Transfusion Medicine. The blood bank performs 115,000 tests and transfuses 8,000 RBC, 2,500 plasma, 1,200 platelet, and 250 cryo units annually. It supports "Life-Flight" operations, level 1 trauma center, three level III Emergency Departments, maternal-fetal medicine division, a neonatal intensive care unit, and an adult hematology/oncology service. The Apheresis Service performs 150 therapeutic apheresis procedures and 120 therapeutic phlebotomies annually. 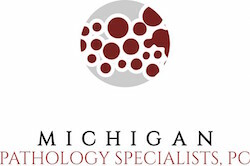 The Blood Bank is part of the MetroHealth System laboratories, consisting of 150 technologists, nine pathologists and four Ph.D.'s, a fully accredited AP/CP residency program, cytology and surgical pathology fellowships. In employment, as in education, Case Western Reserve University is committed to Equal Opportunity and World Class Diversity. Women and Minorities are encouraged to apply. OKLAHOMA CITY, OKLAHOMA (USA). The Department of Pathology of the University of Oklahoma Health Sciences Center (OUHSC) seeks a clinical pathologist with training in transfusion medicine to join our growing practice. The holder of this non-tenure-track position, at assistant professor to professor rank, will practice laboratory medicine at OU Medicine, which includes adult, pediatric, and community-based hospitals. The successful applicant will also conduct collaborative or independent scholarship and teach pathology. Allocation of effort is flexible, with physician-educator and physician-scientist tracks available. Our ten clinical pathologists and one PhD laboratorian support many centers of clinical excellence, including the recently NCI-designated Stephenson Cancer Center and the state's only level I trauma center. ALLENTOWN, PENNSYLVANIA (USA). 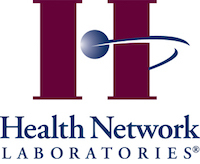 The Department of Pathology and Laboratory Medicine at Health Network Laboratories is seeking a board certified Hematopathologist with 3-5 years of experience to join two additional hematopathologists in a busy and growing hematopathology service. Additional board certification/board eligibility in Blood Banking and Transfusion Medicine is preferred but not required. Please submit curriculum vitae via email to Joshua Kubat at joshua.kubat@healthnetworklabs.com. CHARLESTON, WEST VIRGINIA (USA). Charleston Area Medical Center is seeking to employ a full-time clinical AP/CP board certified pathologist with a subspecialty in Blood Banking/Transfusion. Successful candidates (MD or DO) must be BE/BC and eligible for an unrestricted West Virginia license. Excellent diagnostic skills and a strong clinical background are a must. Outstanding communication and interpersonal skills are desired. Recent graduates are encouraged to apply. The practice consists of nine full-time and two part-time pathologists with many subspecialty areas represented. The Charleston Area Medical Center is a 958-bed tertiary center comprising four hospitals including a Level 1 Trauma Center, a free standing cancer center as well as significant OB/Gyn services. In addition, there is an active Blood Management Program. As West Virginia’s largest city, picturesque Charleston offers both urban amenities and abundant outdoor activities. Exemplary school systems and low cost of living make this an ideal location to raise your family. EDMONTON, ALBERTA (CANADA). Alberta Public Laboratories (APL) North Sector, in partnership with the Department of Laboratory Medicine and Pathology, University of Alberta, FoMD in Edmonton, Alberta is seeking a qualified full time Transfusion Medicine Physician. A physician with completion of the Royal College Area of Focused Competency in Transfusion Medicine is preferred. A Hematopathologist, General Pathologist, clinical Hematologist or Anesthesiologist with expertise in transfusion medicine and quality improvement would also be considered. The Transfusion Medicine Section, North Sector covers the largest centralized transfusion service in Canada, servicing 24 sites of various size and complexity which combined transfuse over 48,000 red cell components annually. The Department is a diverse clinical, research and teaching department. Clinical services include two level I trauma centers, solid organ transplantation, high risk obstetrics, Level 1-3 neonatal intensive care, hematology-oncology, and cardiovascular surgery services. 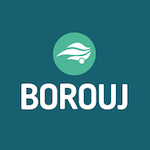 You will provide medical direction for blood bank related clinical services as needed, and work closely with clinicians in hematology, oncology, transplantation, neurology, obstetrics, cardiothoracic and trauma surgery. Clinical duties: offering medical oversight to technical and regulatory processes and procedures, quality assurance, hemovigilance and occurrence management, ongoing promotion of safe and effective blood transfusion, provision of transfusion education for colleagues, allied health professionals and trainees in postgraduate and undergraduate programs. Experience in quality improvement required. The successful candidate will have or be eligible for certification as a Hematologist, Anesthesiologist, Hematopathologist or General Pathologist with transfusion medicine certification with the Royal College of Physicians and Surgeons of Canada and be eligible for licensure with the College of Physicians and Surgeons of Alberta. An excellent remuneration package including relocation assistance is provided. Remuneration is commensurate with the level of fellowship training and experience. Remuneration range for a Pathologist in Alberta is $353,874.00 to $411,650.00.